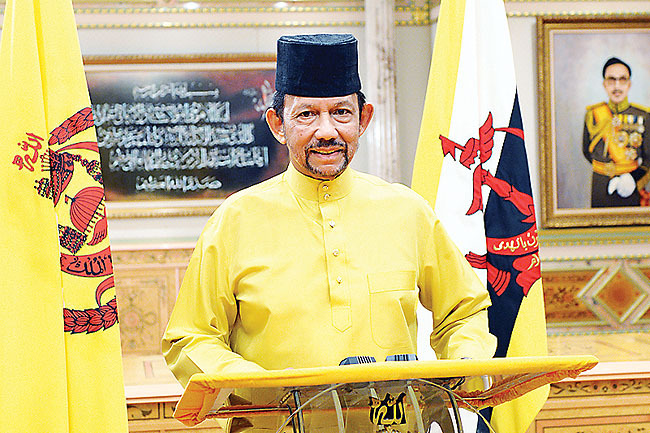 HIS Majesty Sultan Haji Hassanal Bolkiah Mu’izzaddin Waddaulah ibni Al-Marhum Sultan Haji Omar ‘Ali Saifuddien Sa’adul Khairi Waddien, Sultan and Yang Di-Pertuan of Brunei Darussalam has emphasised the merits of cultivating patience in order to achieve success and prosperity according to the principles of Islam. The monarch then outlined the example of the Prophet Ibrahim (pbuh), who was commanded to sacrifice his son, as a test of his obedience and submission to Allah the Almighty. “As members of the present-day Ummah, we are fortunate to be tested by means of our religious obligations and adherence to the principles of Islamic law,” said His Majesty. “In religious worship, for instance, we are tested by being obliged to keep up daily prayer, fasting in the month of Ramadhan and so on. In terms of Islamic law, we are tested through our freedom to choose between what is lawful (Halal) and the forbidden (Haram), including our compliance with moral and judicial laws of Allah the Almighty. His Majesty concluded the titah by encouraging Muslims to pray for Bruneian Haj pilgrims currently performing their Haj obligations in Makkah and Madinah. “Let us pray that Allah the Almighty may grant us with enduring patience, particularly for our country’s Haj pilgrims in the Holy Land,” said His Majesty. “As we all know, during this period of time they will encounter many hardships and ordeals, which are also experienced by pilgrims from the rest of the world.